As I was having a shower earlier, I thought it would be rude not to share this amazing, foamy, heavenly experience! 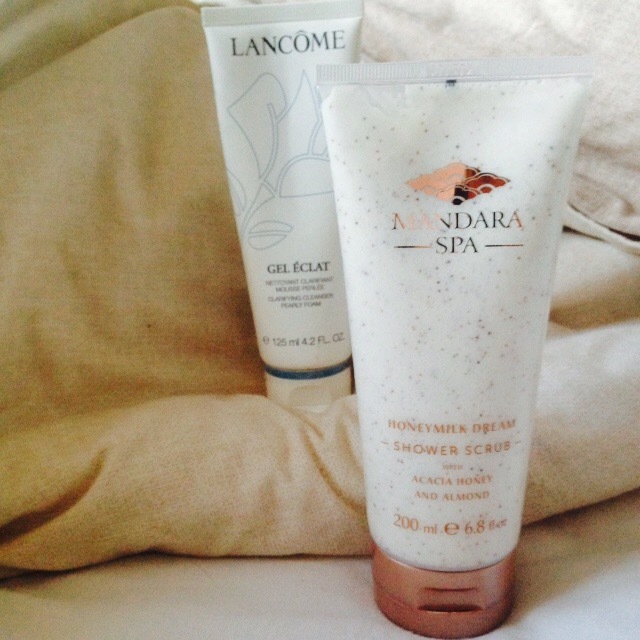 Let’s start off with the Lancôme Gel Éclat. I don’t usually use facial products to remove makeup or cleanse (I’m a bit old school with my dove soap bar) but this is just gorgeous. I’m pretty lucky as I have a friend that works on the Lancôme counter so I actually got this for free! But usually you can get this for around £23 from Boots/Debenhams/Beals/House Of Fraser. Yep, I know this is a pretty hefty price to pay too! But I can assure you this will last at least half the year. 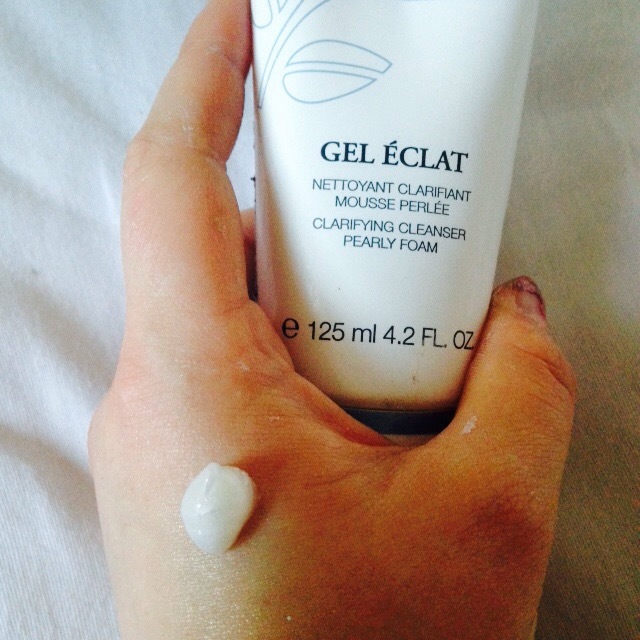 A smallest amount will more than cover your face (and be careful, it really foams up!) and it smells like the typical rose scent Lancôme products have. It’s a water based product so perfect for oily skinned girls like me! thanks for sharing! I didn’t even know Lancome made this product! The body scrub sounds great! You’re so lucky that you were able to get the product for free! I have a lot of Lancome products but I haven’t really heard of the Lancôme Gel Éclat, maybe it’s harder to find back in the states? no idea, but I’m going to do some more research on it now haha.